Landlords can improve their chances of letting out their properties sooner by preparing them properly. Having a plan in place can enable them to make their properties more attractive to tenants, allowing them to ask for the best rates. However, a lot of work goes into preparing a property to let. Landlords must first consider the types of tenants they want to live in their properties. Some of the main groups include families, professional couples and students, and each of these groups will have very different needs. Different rules also affect landlords letting to different types of tenants. For example, if letting a property as a House in Multiple Occupation (HMO), landlords must contact the Environmental Health Department at their local councils. Landlord insurance is different from standard property insurance. For a start, most landlords will not usually need much contents insurance unless they are letting a furnished property. However, landlord insurance may also provide extra features, such as rental protection, making it a useful purchase. 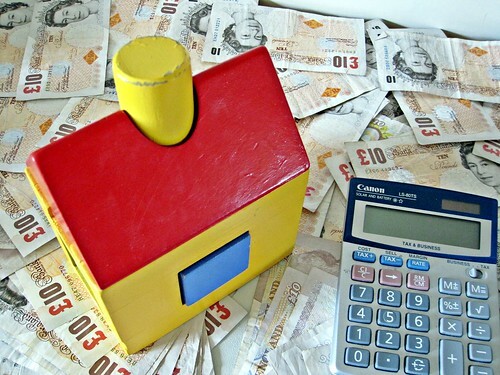 Landlords should always speak to their mortgage lenders before letting out a property. They may find that they are in breach of their mortgage agreements by letting out their properties, so they must get the OK first. Landlords should have a good idea of how much they will charge for rent before they start looking for tenants. This may involve some research of the local property market, and they may want to ask a local estate agent for advice. A tenancy agreement written up by a lawyer is a very sensible idea. Landlords should arrange to have agreements written up for them that are specific to their properties rather than buying off-the-shelf solutions. If the property is not yet in a fit state to let, the landlord will have to clear it out. This could include clearing out old items and belongings from both inside and outside the property. They may want to mow the lawn, cut down dead trees in the garden and throw out any trash that will make the property look less attractive and affect the ability to find tenants. Landlords with large amounts of items to discard may want to hire a dedicated junk removal firm like AnyJunk to clear their properties instead. After clearing out all of the junk, landlords may want to decorate their properties to make them more attractive for potential tenants. This may consist of painting the rooms a neutral colour throughout, for example. Following any decorating work or even minor renovations, they should consider hiring a professional cleaning company to ensure it makes a positive impression during viewings. Safety is a key factor to consider when letting a property. Landlords are responsible for ensuring that any furniture complies with the Furniture & Furnishings (Fire) (Safety) Regulations 1988, and they should also ensure that they get any gas appliances checked by a Gas Safe registered engineer. If in doubt about their responsibilities, landlords should contact their local housing associations for full details. Inventories are essential when letting a property because they can be used if the tenants mistreat the contents and are financially responsible for any repairs. Landlords should prepare a detailed inventory that they can then ask the tenants to sign upon moving in to avoid any potential problems in the future. Landlords should start preparing their marketing plans as early as possible. By having a plan in place, they can start marketing their properties immediately as soon as they are ready to find tenants. These are some of the main things that any landlord should do to prepare a property to let. Landlords can follow the steps outlined in the checklist to make sure that they have covered all of the most important stages, but they should also ask a letting agent or seek legal advice if they are unsure about any of the finer details. This way they will be fully confident that they are letting out their properties having covered all of the key areas. Amy is a freelance feature writer and property expert from the UK.